If you lack legal custody of your granddaughter, you have no grounds under which to request that the court change the child's last name. Even if you fight for – and win – sole legal custody of your granddaughter, that does not automatically give you the right to give your granddaughter a new surname. 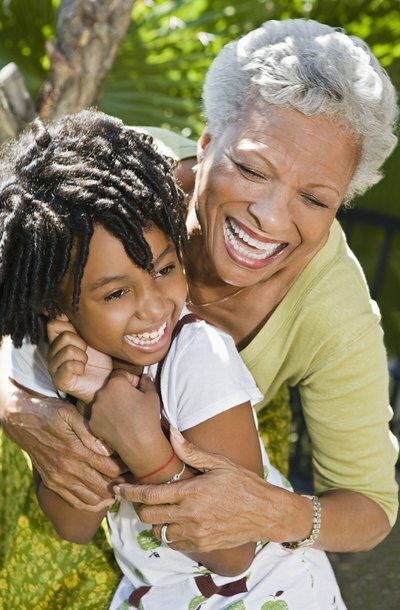 State laws vary, but grandparents must generally have the written consent of both of the child's biological parents before a judge will agree to the name change. Each state's requirements vary with regard to name changes. The general process, however, typically requires that you visit the county clerk's office and request a Petition to Change the Name of a Minor or Minor Name Change Petition. The title of the form will vary slightly by state. Some jurisdictions make these forms available for download online. Return the completed petition and parental consent forms, if necessary, to the county clerk. Some states, such as Florida, require that anyone attempting to change a minor child's name submit to fingerprinting and a criminal background check. After you submit the required documentation, the court schedules a hearing. At the hearing, a judge reviews the petition and makes a decision regarding whether the name change is in the child's best interests. If you adopt your granddaughter, you become her adoptive parent. Adoption terminates the biological parents' rights and the adoptive parent becomes the legal parent. Should you adopt your granddaughter, you can legally change her name without seeking permission from her biological parents. The name change procedure is generally completed during the adoption process. When the court finalizes the adoption, it also finalizes the name change. If your efforts to have your granddaughter's name changed are unsuccessful and your granddaughter also wants the change, she has the option to change her name when she reaches adulthood. Once she is no longer a minor, she has the right to petition the court to change her own name without first obtaining her biological parents' consent.